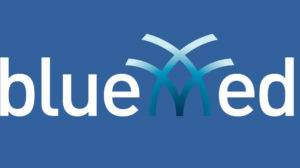 The BLUEMED initiative, jointly developed and agreed between Cyprus, Croatia, France, Greece, Italy, Malta, Portugal, Slovenia, and Spain and facilitated with the support of the European Commission, aims to advance a shared vision for a more healthy, productive, resilient, better known and valued Mediterranean Sea. This initiative seeks to promote the social well-being, prosperity of both local and EU citizens now and for future generations and to boost economic growth and jobs. On 11 & 12 January 2018, the initiative held a Coordinators meeting in Malta, where important projects relevant to its aims and objectives were also presented. CLAIM was represented at the meeting by project partner Ilaria Schiavi, IRIS srl, who displayed a poster and distributed project brochures to interested participants. JERICO-NEXT: A research infrastructure platform which aims to improve and innovate the cooperation in coastal observatories in Europe by implementing the coastal part of a European Ocean Observing System, to cooperate with other European initiatives as ESFRI (EURO-ARGO, EMSO, EMBRC), Integrated Infrastructures (FIXO3 etc. ), OCEAN OF TOMORROW sensors innovation project (SenseNET, NEXOS), the emerging European biological network (EMBRC) and EMODnet to contribute to provide services to the research community and the society. ODYSSEA: the project will develop, operate and demonstrate an interoperable and cost-effective platform that fully integrates networks of observing and forecasting systems across the Mediterranean basin, addressing both the open sea and the coastal zone. PERSEUS: A research project that assesses the dual impact of human activity and natural pressures on the Mediterranean and Black Seas. PERSEUS merges natural and socio-economic sciences to predict the long-term effects of these pressures on marine ecosystems. The project aims to design an effective and innovative research governance framework, which will provide the basis for policymakers to turn back the tide on marine degradation.